With version 14.0 of TX Text Control Server for ASP.NET (incl. Windows Forms), we introduced a complete new namespace: TXTextControl.DocumentServer. This namespace contains best practices for specific and typical server-side document service applications. A common server-side application is template-based mail merging. This allows developers to merge templates with database content. 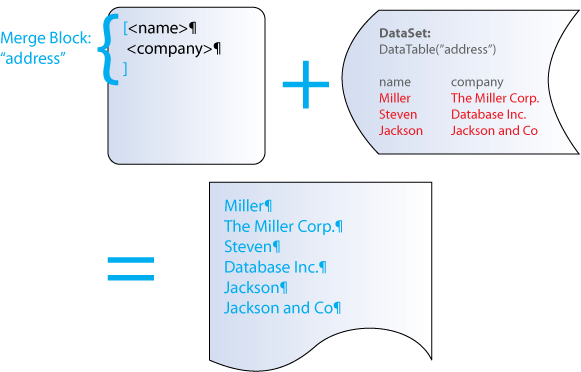 A template consists of merge fields that can be bound to database fields. TX Text Control Server for ASP.NET (incl. Windows Forms) provides additional functionality to build sophisticated mail merge applications. A template that can be loaded into the MailMerge component can contain two different types of fields: General fields that are part of the main text and fields that are part of a merge block. Merge blocks are repeated based on the number of data rows in a given DataSet. The block is acting like a sub-report with a separate set of data values. Another event is fired when the complete template has been merged. 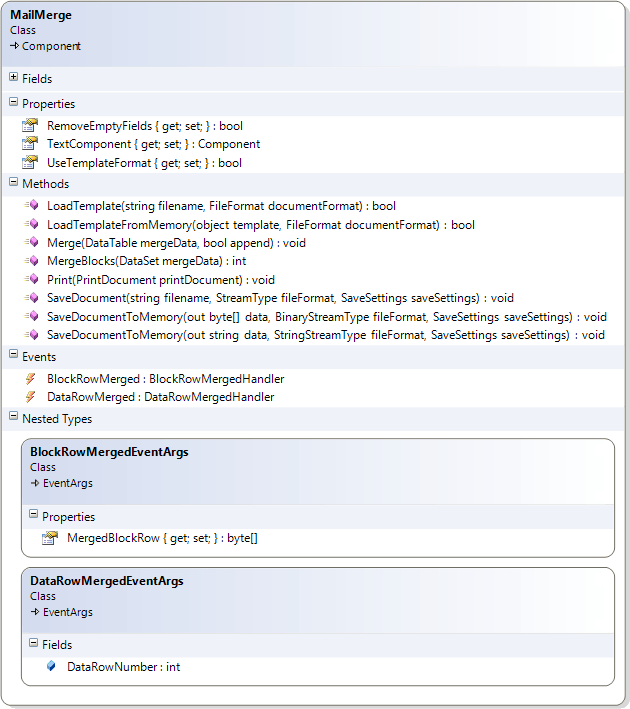 This allows you to save the document into a file when the append parameter of the Merge method has been set to false. In this case, the resulting documents are not appended to the same document. The next illustration shows the complete MailMerge class and it's properties, methods and events. It gives an overview of the possibilities using the MailMerge component. Try that on your own by downloading the TX Text Control Server for ASP.NET (incl. Windows Forms) trial version. It comes with a complete set of sample projects for Visual Studio 2005 and 2008 that shows the different functionality of our MailMerge component.